I first met Writer/Director Matthew Holmes about 5 years ago when I was introduced to him to work on a script together. Needless to say a beautiful bro-mance began. Since then I have been astounded at Matt’s energy and passion for film and telling stories. Recently, Matt started a Kickstarter campaign to raise funds for this film that had long been in production. 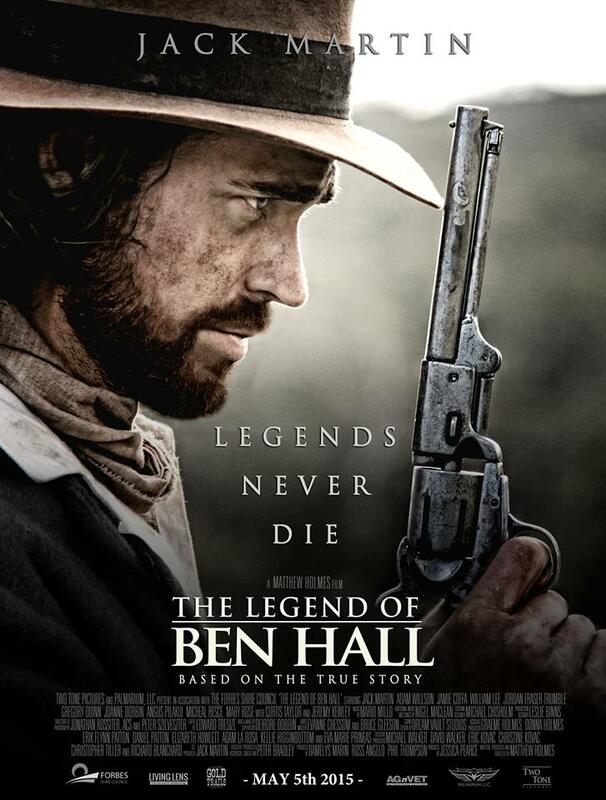 With some clever marketing, some significant local support and some incredible energy from Matt, the campaign raised over $100,000 and filming for The Legend of Ben Hall begins in August. I have the great opportunity to work on set as Script Supervisor and I can’t wait to get stuck into this project. Check out the website below, and if you want to donate go ahead. During filming I’ll endeavor to post more stories and images from filming. Find out more about the film and Ben Hall HERE.